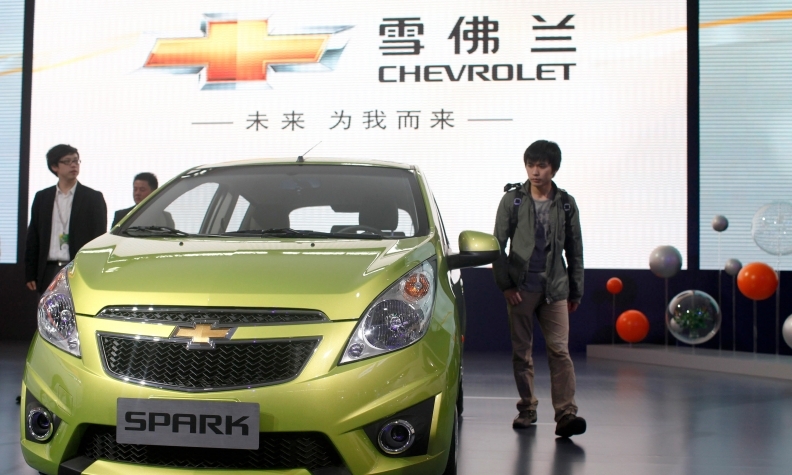 Chevrolet's Spark in China in 2010. GM plans a range of small cars that will replace several unrelated vehicles now sold overseas. Officials say the result will be a major consolidation of platforms that align with a broader goal to produce almost all of GM's vehicles from just four vehicle sets by 2025. General Motors is planning to spend $5 billion over the next several years to develop a new range of technology-rich small cars, based on a common architecture, that will be built and sold under the Chevrolet name in China, Brazil, India, Mexico and other emerging markets. GM, which is co-developing the architecture and engines with Chinese partner SAIC Motor Corp., aims to have the first of the cars in production by 2019 and expects the program eventually to account for sales of more than two million vehicles a year, GM President Dan Ammann said. Through the effort, GM is hoping to leverage its scale and leap ahead of competitors in markets that are expected to drive much of the global growth in automobile sales over the next 15 years. The program also reflects a shift in how automakers are approaching emerging markets, where consumers and regulators are quickly demanding more advanced technology in vehicles. In the past, Western automakers typically served these markets with very low-cost, bare-bones cars, or produced stripped-down versions of vehicles that had reached the end of their product lives in mature markets. 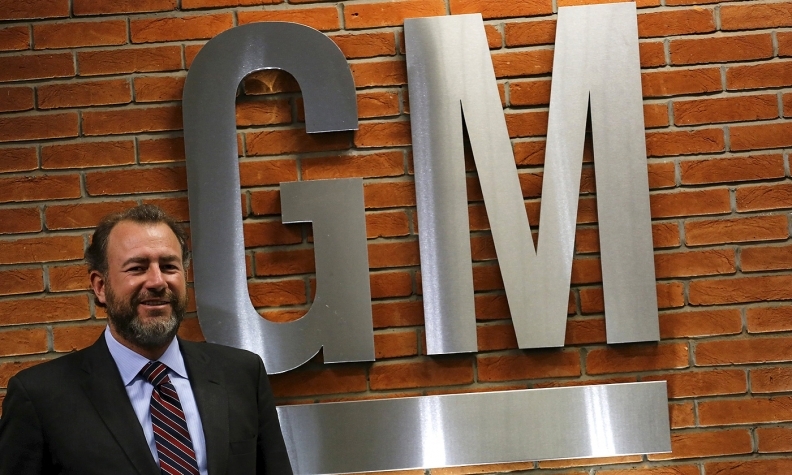 Ammann said GM believes neither approach will work in the future. Ammann also said GM believes it can take advantage of economies of scale to be able to produce content-rich cars that it can sell at affordable emerging-market prices will still generating “the right kind of returns” for the company. The new architecture GM plans to develop will replace several lines of unrelated vehicles now sold overseas, although Ammann declined to specify which current models would be affected. He said the result would be a “significant consolidation” of platforms and align with GM’s broader effort to produce almost all of its vehicles from just four vehicle sets by 2025. The company currently derives about 75 percent of its models from 14 core architectures. The new small cars will be produced in existing plants that will be retooled for the new, low-cost architecture, and will include a range of different body styles. Ammann declined to offer further details but said GM has no plans to sell any of the vehicles in the U.S. or Europe. In addition to GM’s $5 billion investment, SAIC will also spend an unspecified sum on the project. The project represents a deepening of GM’s ties to SAIC. It will be the first time first time the two companies have developed a platform together. Analysts expect global production to climb to more than 130 million light vehicles by 2030, up from about 90 million last year. Almost all of the growth will come from emerging markets. China alone is estimated to grow to about 40 million vehicles by 2030.